Google is invading the last place kept from their all-seeing eye - indoors! I love me some Google maps. Calling up a location on my higher-than-average-IQ-phone and instantly navigating through unfamiliar streets is a joy that only a gamer used to minimaps and strategy guides could appreciate fully. 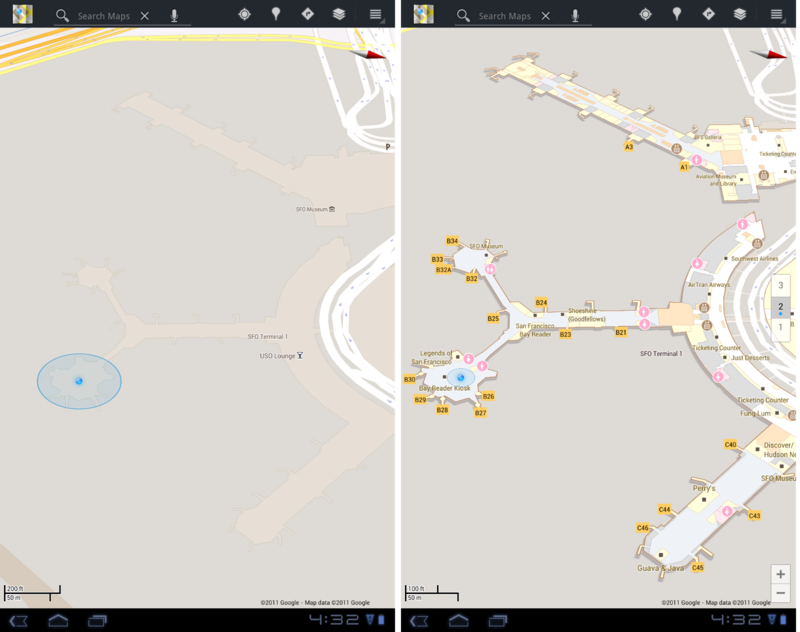 The idea of mapping commonly traveled indoor spaces like shopping centers and airports never occurred to me, but now that Google has announced that their application is doing just that, well, it just makes so much sense. "Detailed floor plans automatically appear when you're viewing the map and zoomed in on a building where indoor map data is available," reads the announcement on Google's blog. "The familiar 'blue dot' icon indicates your location within several meters, and when you move up or down a level in a building with multiple floors, the interface will automatically update to display which floor you're on." For now, the service will only roll out for airports that are highly trafficked - Hartsfield-Jackson Atlanta International Airport (ATL), Chicago O'Hare (ORD), San Francisco International Airport (SFO) and Narita International (NRT) - and retailers like IKEA, The Home Depot, select Macy's and Bloomingdale's as well as Asian stores Daimaru, Takashimaya and Mitsukoshi. Eventually, Google plans not only to add more, but provide the tools for building operators to add their floorplans and match them up with satellite topography. 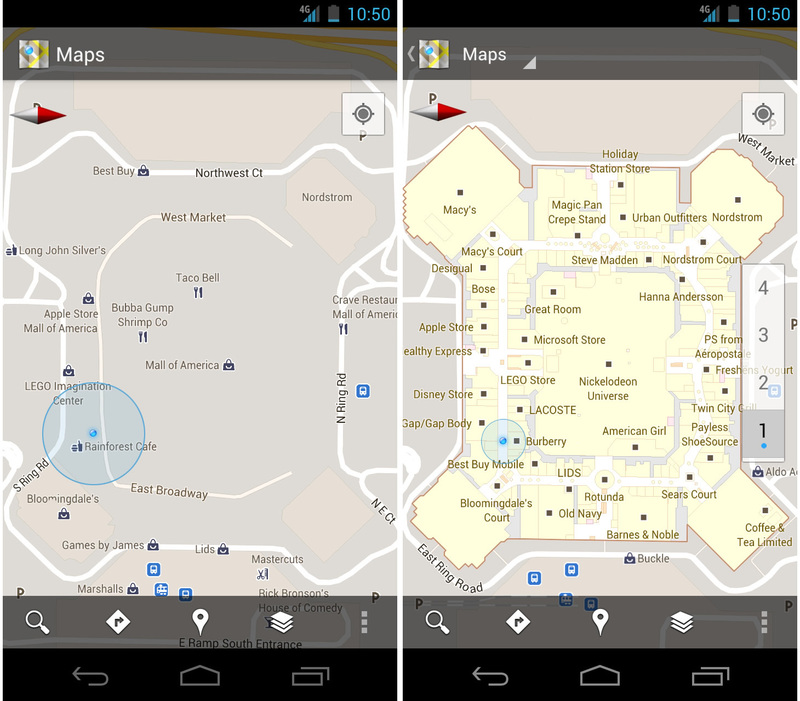 For a map-lover and a recent geocacher like myself, indoor Google maps just sounds awesome. Of course, it must be noted that Microsoft's Bing Maps already had 10 major American malls mapped as early as March 2011, but I didn't even know that Bing had maps until I just looked that up. Google Maps just does it so much better that I never needed to look for a replacement.